We specialise in creating unique and personalised special interest tours of Europe for groups large and small. With our extensive knowledge across the UK and Europe, we have the expertise to help you plan and operate an exclusive customised tour, with professional detailed itineraries, to meet all your group’s requirements. Whatever your interest, we design tours according to your passions. Due to the excellent lasting relationships we have built over the past 40 years we can offer special touches and extras that we promise you will not get anywhere else. As all our tours are tailor made we can encompass anything you wish into the programme. Just contact us with your requirements and ideas and we can create a tour to suit you. We work in consultation with you and keep in regular contact in order to create the itinerary for your tour. Our staff in the UK & Europe take all the stress out of organising a tour and ensure everything runs smoothly whilst you are here. 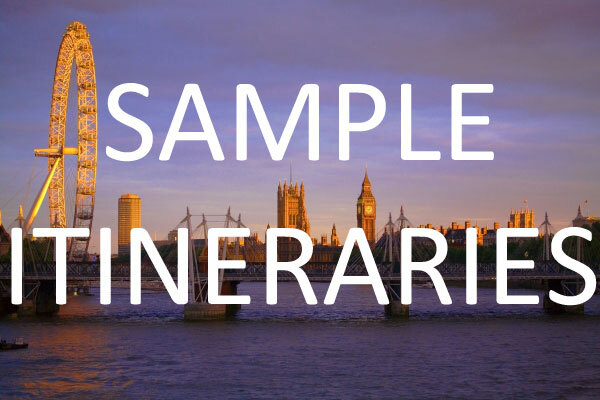 For a selection of more in depth sample itineraries please click the link below or browse the menu to the right for specific special interest subjects.